Wildecy de Fátima Jury has been formally practicing Theravada/Vipassana meditation since 2000. She graduated from the Dedicated Practitioner Program and the Community Dharma Leader Program at Spirit Rock – an Insight Meditation Center, in California. In 2015, she received a non-monastic ordination through the Dharmacharya Program with the Venerables Pannavati and Pannadipa. 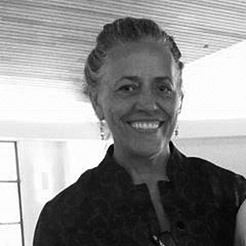 She has taught at East Bay Meditation Center (EBMC in Oakland, CA), InsightLA, New York Insight, Harlem Insight, and several meditation centers in Brazil. At the moment she is attending the Sacred Mountain Sangha Dharmapala Training with teachers Thanissara and Kittisaro. 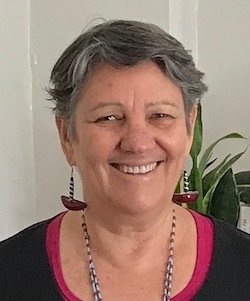 She has studied different spiritual practices and as a spiritual practitioner she has worked with many multicultural communities and groups. Her intention is to remain active in creating sanghas that cultivate generosity, compassion, forgiveness, unity and deconstruct an oppressive mind and social paradigms. She holds a BA in Psychology and Women’s Study and a Master in Social Work. She is certified in Aboriginal Focusing Oriented Therapy through the Justice Institute in Vancouver, BC. She is an artist, a writer, and a poet.